Alex Hone has a celebrated career in asset management and investment spanning more than 20 years having worked with leading global firms in both Sydney and London. His experience has included establishing and developing funds management businesses that in turn developed global reputations for investment excellence. Prior to joining Atrium Investment Management, Alex was a Portfolio Manager of the Global Listed Infrastructure portfolio with Magellan Asset Management. Other senior roles have included working with Capital Partners (now CP2), a specialist global investment advisory and management firm, as well as Schroders Investment Management Ltd, in London. 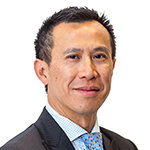 Alex commenced his career in the Treasury division of the National Australia Bank. 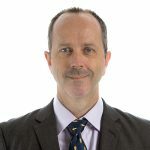 Tony Edwards has over 18 years’ experience in financial markets focusing on international and domestic listed equities. 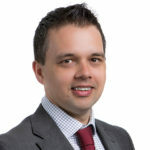 Prior to joining Atrium Investment Management Tony spent over 6 years at Queensland Investment Corporation (QIC) where he was a Senior Portfolio Manager having had responsibility for the Core Australian Equities Fund and the Concentrated Australian Large Caps Fund during his tenure. Tony’s experience prior to this includes domestic and international equity research roles covering a diverse range of industries with Colonial First State Global Asset Management, BT Funds Management and Merrill Lynch. 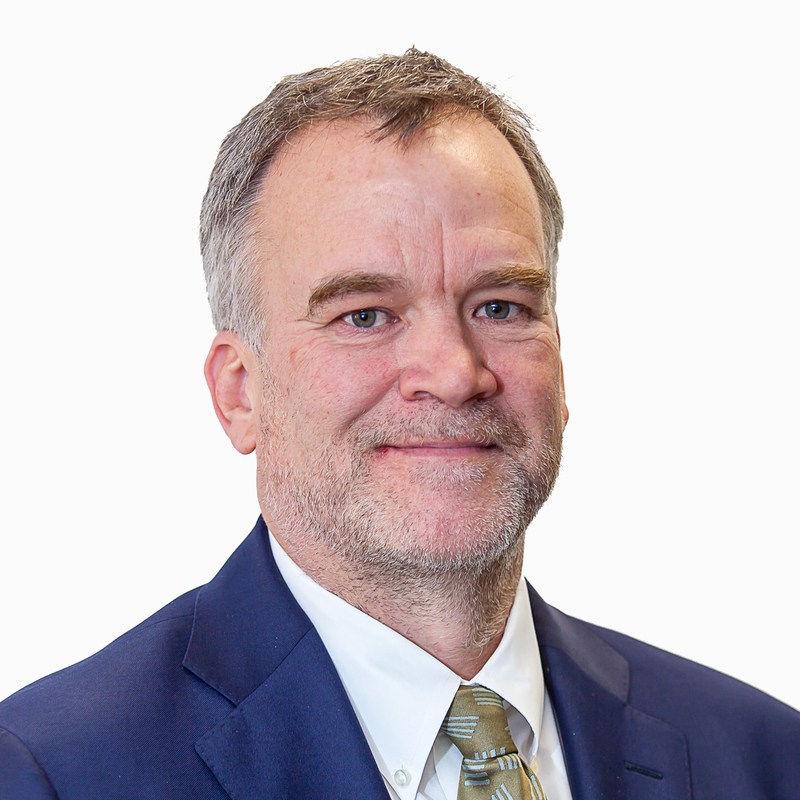 Bill Prendergast has over 22 years’ investment experience, most recently at QBE insurance, where he spent almost 6 years as a Senior Portfolio Manager, including 2 years in New York where he established QBE’s investment management capability in the Americas. Prior to QBE, he was employed at Queensland Investment Corporation as Senior Portfolio Manager in the Global Fixed Income team with a focus on inflation, interest rate, and credit derivative markets. This role followed 7 years in Tokyo with AXA Investment Managers, the majority of which was as a Senior Portfolio Manager in the Yen markets. This was preceded by a number of years with AXA in Melbourne in various investment-related roles. Bill has the CFA designation and is a Chartered Accountant. 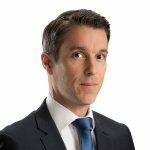 Brendan has over 18 years’ experience in global financial markets investing across asset classes. Most recently Brendan spent 4years at MST Capital a Multi-Strat Macro Discretionary Hedge Fund. During this time, he managed global investments across Credit, Equities and Foreign Exchange. 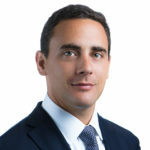 Prior to this Brendan spent 6 years at UBS as part of the Fundamental Investment Group, a Sydney based team investing as a multi-strategy Hedge Fund in the Australian Market. Here he managed a portfolio focused on Credit and Convertible bonds with a mandate that stretched across the capital structure. At the conclusion of his time at UBS, Brendan’s responsibility extended to risk management for the entire Fundamental Investment Group. Brendan began his career with 3 years at Ferox Capital a Global Convertible Bond Fund manager based in London. David has over 14 years’ experience in global financial markets across all major asset classes. Prior to joining Atrium as a Portfolio Manager, David constructed bespoke portfolio solutions for clients as a Portfolio Manager with Select Investment Partners. In addition, he was involved in Investment strategy and manager research with overall responsibility across three core sectors. David has a Bachelor of Economics (USyd) and a Graduate Diploma in Applied Finance (FINSIA) and is a CFA Charterholder. 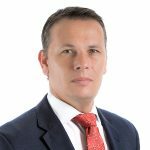 Nick has over 11 years’ experience in financial markets including advisory, asset management and multi-strategy investment management. Prior to Atrium, he was Portfolio Manager of private capital at Sydney based Marshall Investments. During this time he managed asset classes including commercial credit, private equity and growth capital. His experience also includes investment banking at J.P. Morgan in their real estate team and transaction advisory at Ernst & Young, where he focussed on mergers & acquisitions as well as restructuring. Nick is a Chartered Accountant and holds a Bachelor of Business with 1st class Honours from the Queensland University of Technology and a Bachelor of Commerce from the University of Queensland. David was the co-founder and Chief Investment Officer of Investment Science Asset Management. He designed and initiated the portfolio management of the quantitative component of its managed futures hedge fund, and became its portfolio manager in 2013 when it moved to a fully quantitative strategy. He was also architect of the Strategic Risk Allocation mandate structure which was an innovative approach to multi-asset management, allowing for flexibility in the management of asset classes, managers and instruments in Investment Science’s funds. In 2014 Investment Science was sold to Blue Sky Alternative Investments. Prior to Investment Science, David’s career path was a series of quantitative roles: portfolio management and fixed interest at Funds SA, debt management at the South Australian Government Financing Authority, project finance and actuarial projections at William Mercer. David is a qualified actuary and achieved a first class honours graduate in Applied Mathematics. 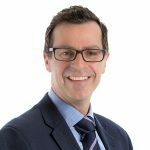 For the last twelve years, Ian Gibson has acted as a director, investment adviser and consultant to a range of financial groups and organisations. These have included hedge funds, equity fund managers, investment banks and family offices. Previously Ian was an equities analyst and fund manager at Fidelity Investments Management (H.K.) Ltd (Fidelity), based in Hong Kong (1997 to 2002). Prior to Fidelity, Ian was an equities analyst at Potter Warburg/SBC Warburg in Australia (1994-1997), covering various sectors. 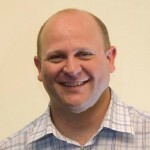 Ian has also worked at the State Bank of New South Wales (1993-1994) and BZW Australia (1991-1993). Ian holds a Bachelor of Laws and Bachelor of Business (Finance) from the University of Technology, Sydney and a Diploma in Applied Finance and Investment from the Securities Institute of Australia. Kevin has over 20 years’ experience in financial markets including 9 years focused on multi-strategy investment management. Prior to Atrium, Kevin was based in Hong Kong and worked at Stark Investments and its spin-off, OCP Asia for 9 years as a Portfolio Manager of their Australasian and Greater China portfolios. During this time, he managed investments across multiple asset classes including equities, credit and privates. Kevin’s prior experience also includes 8 years in investment banking at JPMorgan in both Australia and Hong Kong where he focused on mergers & acquisitions as well as equity capital and derivatives markets. Tony is the co-founder and CEO of Jacobi Strategies a San Francisco based fintech company focused on asset allocation and risk modelling technology for multi-asset funds. Prior to Jacobi, Tony was the Chief Strategist at QIC, based in Australia, where he was responsible for the investment strategy and portfolio construction of over $45 billion of client assets. Tony has over 15 years experience in financial services, focusing predominantly on multi-asset class investing. Tony has also previously held senior roles in portfolio management and quantitative analysis at both QIC and QTC and has PhD in Applied Mathematics. John Spitznagel is a highly regarded and skilled property specialist with extensive international real estate experience, John has held senior executive positions in the US, Hong Kong and Australia and demonstrates a broad and unique understanding of the complexities associated with real estate investment, ownership and development. His over 32 years’ experience across a number of property disciplines includes funds management, leasing, property development, and property finance advisory. John was an Executive Director at Macquarie Bank for 14 years, heading the Development Capital division, and managing the wholesale funds management business responsible for opportunistic property investments on behalf of institutional clients. Most recently he was a principal in the expansion of a Melbourne based development management group’s expansion into NSW. He has also held roles and JLL, Grocon and a Sydney based architectural firm. David Dix has worked across the investment management industry and investment markets for the past 22 years. Prior to joining Atrium David spent 12 years at AMP Capital Investors, most recently as the Senior Investment Specialist for the Multi Asset Group. Prior to this, David worked in debt capital markets in the UK for Deutsche Bank, Merrill Lynch and Chase Manhattan (now JP Morgan). David has extensive expertise in the Funds management industry and has developed a range of market leading investment solutions for the institutional and retail marketplace in Australia and overseas. Andrew has a Bachelor of Commerce (Economics) with First Class Honours in Finance. He is currently completing a Masters of Information Technology specialising in Artificial Intelligence at the University of New South Wales. 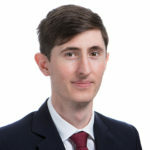 Prior to joining Atrium, Andrew worked at Macquarie Bank where he was responsible for providing independent valuations on derivative positions traded by the equities and funds management divisions. Rebecca has a Bachelor of Science (Business) in Finance from the Leeds School of Business at the University of Colorado at Boulder. Prior to joining Atrium, Rebecca worked at Regal Funds Management as Head of Investor Relations. Rebecca began her Financial Services career at Goldman Sachs where she spent over 4 years working in both the United States and Australia across Transition Management trading and execution as well as Collateral Management for REPO and OTC derivative positions. Wilson holds a Bachelor of Commerce with distinction from the University of New South Wales. 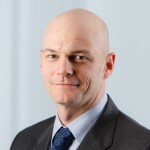 Prior to joining Atrium Investment Management, Wilson was an Associate Analyst covering small-to-mid-cap ASX listed technology companies at Wilsons. Before this, he was a Manager Research Analyst at Morningstar covering funds across the Australian and global equities, fixed income, and multi-asset sectors. Wilson began his career at KPMG working across the Private Enterprise and Mergers & Acquisitions divisions. Brett Ireland has over 24 years’ experience in the financial services industry and over 12 years in the Funds Management industry. Brett was previously the General Manager for the Australian chapter of the Alternative Investment Management Association (“AIMA”). 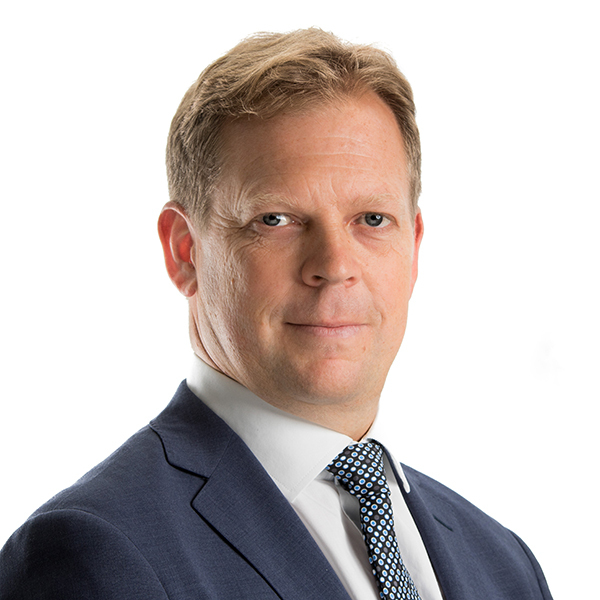 Prior to joining AIMA he worked for one of the world’s largest hedge fund managers – Brevan Howard – for over 6 years as Chief Operating Officer for their Jersey office and was also an executive director for a number of their investment management entities around the world. In addition, Brett held the position of head of finance for Deutsche Bank in Jersey where he worked from 2002 to 2005. 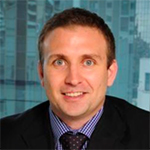 Brett trained as a chartered accountant with PWC working in both their Sydney and Jersey offices.